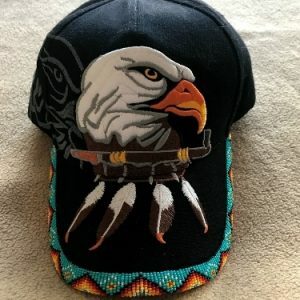 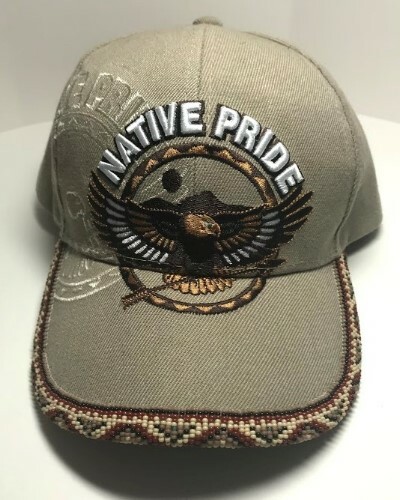 Show your Native Pride with this beautiful Flying Eagle logo baseball cap. 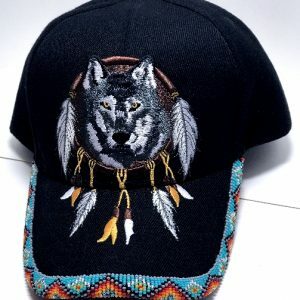 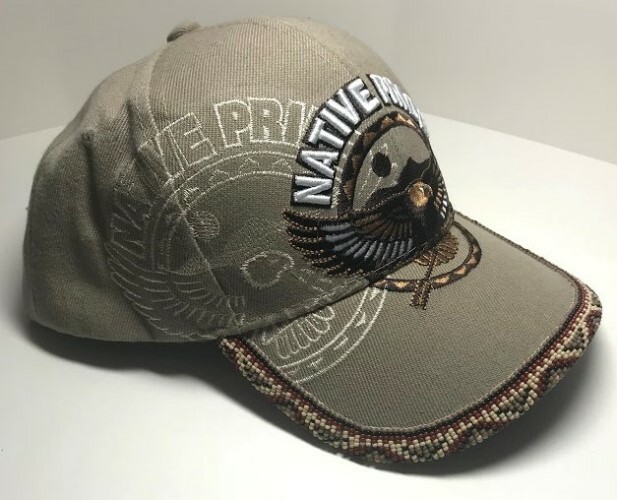 This is a standard size khaki baseball cap with an adjustable velcro closure in the back with the word “NATIVE” printed on it. 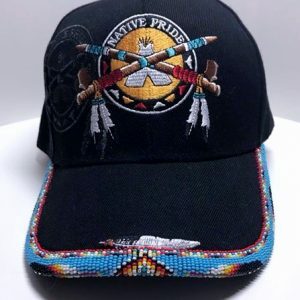 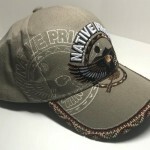 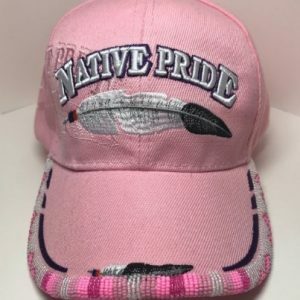 The front of the cap features an flying eagle circle logo & the bold words “Native Pride”. 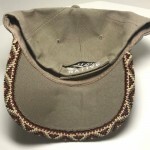 It also has an embossed style logo on the side. 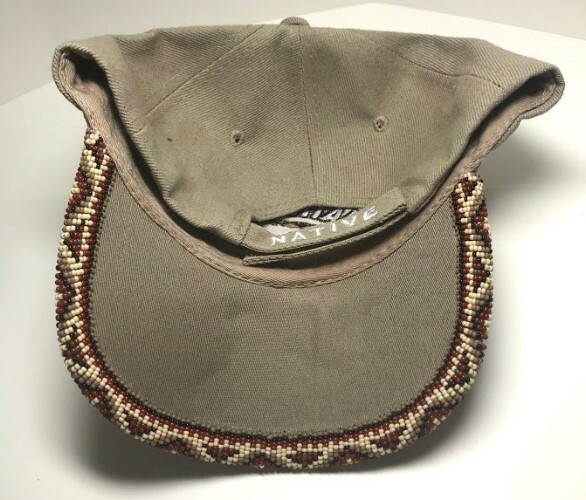 Then the brim of the cap is beaded by hand in a basket weave style pattern in various contrasting colored seed beads.